Spotify's allegations were revealed in a letter the streaming music service sent to Apple general counsel Bruce Sewell this week, a copy of which was obtained by Re/code. In the note, Spotify attorney Horacio Gutierrez alleges that Apple's App Store policies are "causing grave harm to Spotify and its customers." In an effort to gain support for its case, the letter was also provided to U.S. government officials, including Sen. Elizabeth Warren (D-Mass.). The note likely played a part in comments made by Warren this week, accusing Apple of using its platform dominance to hurt competitors like Spotify. At issue is Apple's share of sales and subscriptions that go through software available on the iOS App Store. For years, Apple has taken a 30 percent cut of all App Store sales, encompassing paid downloads, in-app purchases, and ongoing subscriptions. In a move that could help the likes of Spotify and others, Apple announced earlier this month that it will take a smaller 15 percent cut of ongoing subscriptions through App Store downloads. However, Apple's 30 percent share is only reduced to 15 percent if a customer maintains their subscription for over a year. Apple's policies have led companies like Spotify to charge more to customers who subscribe through their official iOS app. Spotify's premium subscription tier costs $10 if a user registers directly through the web, but transactions through its iOS app are charged at $13 per month. Apple also forbids linking to external stores to bypass App Store fees. While Spotify's letter apparently did not specifically say what changes have been made in the rejected version of its iOS app, it does note that the proposed update was turned down due to "business model rules." Spotify was also informed that they would be required to use Apple's iTunes-based billing system to sell subscriptions through its iOS app. 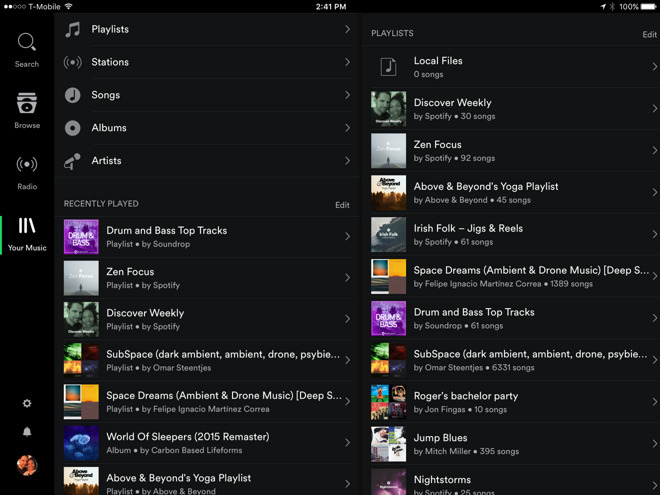 In Spotify's view, Apple's policy is "a weapon to harm competitors." Like Spotify, Apple offers its own $10-per-month subscription music service, dubbed Apple Music. 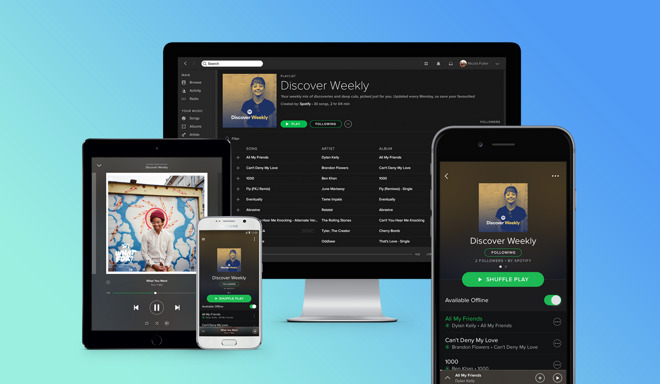 The latest data has Spotify at 30 million paid subscribers worldwide, while Apple Music reached 15 million paid users as of earlier this month.